Olamide has won the Best Male Artiste In West Africa at the 2015 All Africa Music Awards (AFRIMA). The YBNL CEO who has maintained his consistency this year with his continuous dominance of West African pop culture via his singles and performances faced stiff opposition from a number of talents. 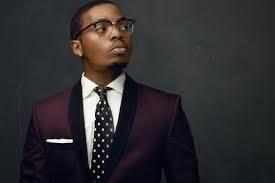 Olamide won the award for his song ‘Bobo’, over Wizkid’s ‘Ojuelegba’, Sarkodie’s ‘Adonai (Remix), Flavour’s ‘Golibe’, and Davido’s ‘Fans mi’. It was an historical night at the just concluded AFRIMA, as East African artists won most of the award categories.